Somehow the use of thermobaric weapons seems less humane than ripping a person to shreds with shrapnel. The weapons work by igniting oxygen surrounding the weapon. A cloud of explosive chemicals is released, and upon impact the fuel-air mixture is detonated, exploding the lungs of animals and human beings in the vicinity, not damaging structures much but filling the lungs of all animals with fuel and burning them in what may be one of the most horrifying ways imaginable to die. A May 1st Freedom of Information Act disclosure from the British Ministry of Defense revealed that during the first couple months of 2017, combat drones fired 19 AGM-114N4 Hellfire missiles. Little else about casualties or even the purpose of these strikes was revealed. An organization called Drone Wars is to be credited with this remarkably important discovery through their FOIA request, they reported on it first. 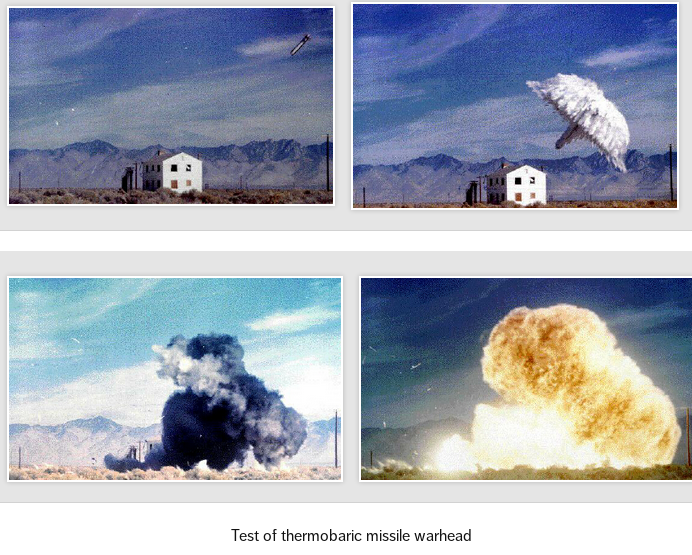 Multiple times in the past the United States has used thermobaric weapons, the first nation to ever do so. Russia has also used them and invested a lot in their production. “If the fuel deflagrates but not does detonate, victims will be severely burned and will probably also inhale the burning fuel. Since the most common [fuel-air explosive] fuels, ethylene oxide and propylene oxide, are highly toxic, undetonated FAE should prove as lethal to personnel caught within the cloud as most chemical agents,” HRW continued. As the United States burned civilians in entire villages to death with napalm during the Korean War, they developed early thermobaric weapons, fuel-air explosives in the 1960’s which they used in the Vietnam War for killing people and detonating entire minefields. In the mid 1990’s, Russia used fuel-air explosives against Chechens, and in 1999 they used one TOS-1 Buratino against Grozny, the Chechen capital with the Buratino shooting rockets equipped with thermobaric payloads at targets residing in the city. 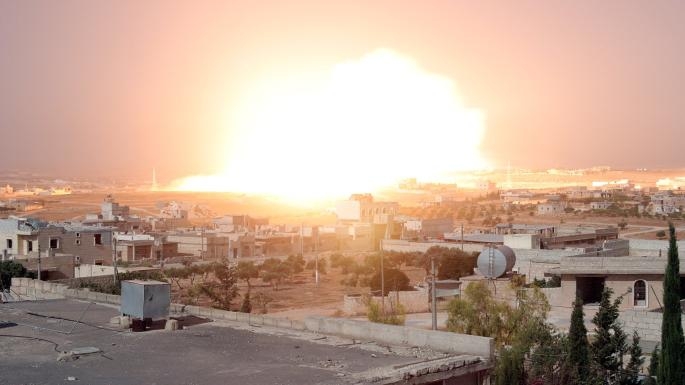 Russia has also been accused of using thermobaric weapons in Syria. In the war in Afghanistan, the US used thermobaric bombs in alleged attempts to kill Taliban forces and Al-Qaeda in caves. The bottom line is, we’re severely disconnected from empathy, from feeling the reality that our own governments are using weapons against other innocent people that are no different than us: horrific, nightmare weapons. Weapons that rupture lungs and organs, weapons that fill the lungs with fuel and burn them, weapons that bring death about in the most horrific and painful way possible have been used against the enemy and any civilians in the vicinity for decades upon decades, and it’s still going on. So when they talk about disarming us, remember you’d be giving up your guns to a regime that has no problem exploding the lungs of people in other countries.